Just received this little guy yesterday. It is roughly 18 years old and had some new shoots coming out in random directions (many were back shoots). Well I pruned the back shoots and removed some very tiny shoots on some of the branches right near the trunk. For some reason now It looks to me like I took too much off. The tree looked a little more full before I pruned but at the same time a bit messy and perhaps a tad overgrown. I hope I haven't gone and done anything detrimental to it's future. NOTE: This tree will be outdoors as of tomorrow on my porch in a South window (window open). 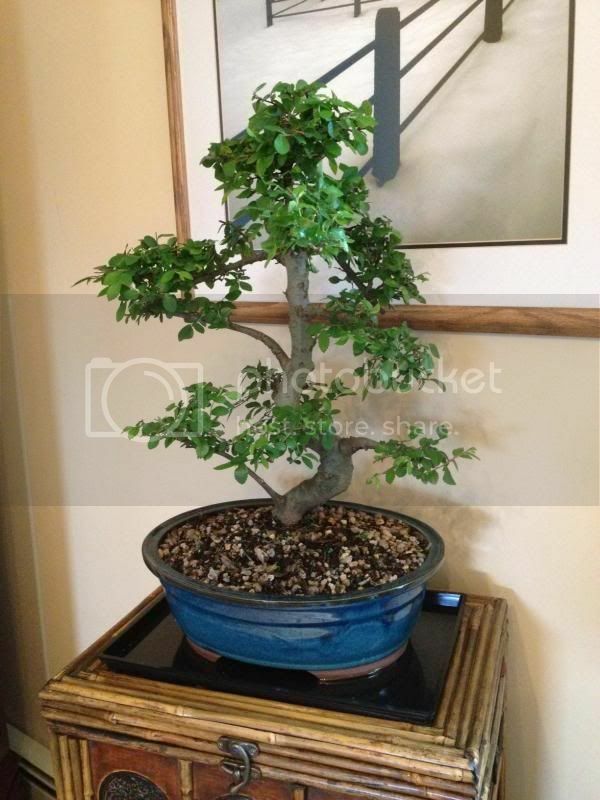 I am only just getting started in bonsai and can't say anything about pruning techniques, styling etc. But I would say that in general to receive a new tree and start snipping on it right away would usually not be recommended. The tree needs to adjust to having been transported and being in a new place, in new conditions and you need to get to know your tree, have spent enough hours looking at it from all different directions to be able to visualize what you want to do with it. The art of bonsai is all about PATIENCE! Oh boy....I knew it. Now I will be sitting at work all day thinking of the horror I just put my tree through. I have been so busy lately I should have read up first or posted pics and asked first. M78, Let any more pruning soil work etc go till your baby sez its growing well.